Boardman Subaru presented representatives from Akron Children’s Hospital Mahoning Valley with a check for more than $30,000 from its Share the Love campaign. 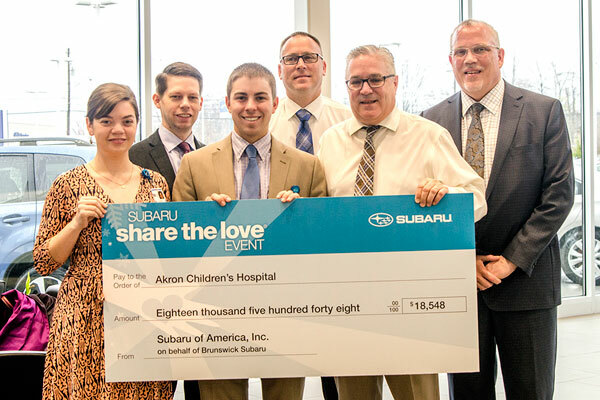 Subaru’s Share the Love campaign grew this year to include both the Boardman and Brunswick dealerships in raising money to benefit Akron Children’s Hospital. At the end of each year, Subaru dealerships across the country participate in the Share the Love campaign, where Subaru donates $250 for every new Subaru vehicle sold or leased to the customer’s choice of one of several national or local charities. 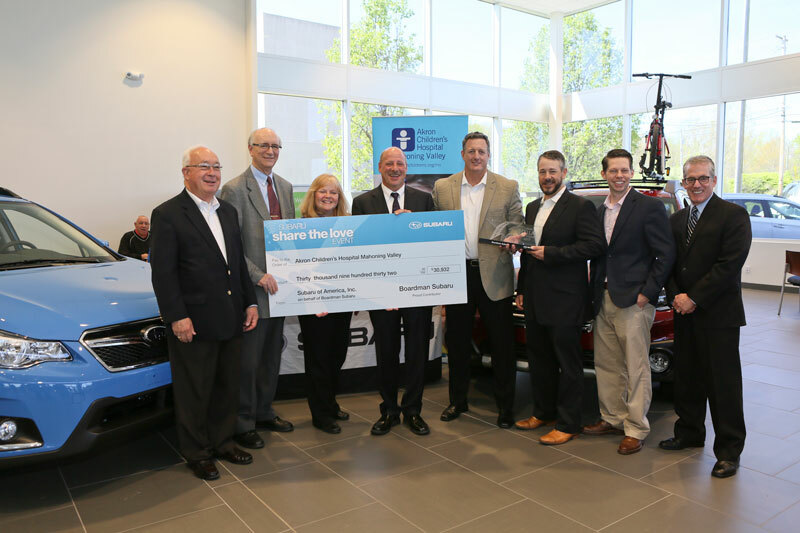 Boardman Subaru’s Share the Love campaign raised more than $25,000 for Akron Children’s and the dealership donated an additional $5,000, bringing the total donation to more than $30,000. Boardman Subaru has donated more than $95,000 to Akron Children’s Hospital Mahoning Valley during the past 3 years. Brunswick Subaru presented representatives from Akron Children’s with a check for more than $18,000 from its Share the Love campaign. Brunswick Subaru presented Akron Children’s with a check for $18,548 from its Share the Love campaign. This was the first year the Brunswick dealership selected the hospital as one of its hometown charity partners. “We were very excited that Brunswick Subaru chose us to be a charity partner this year and we’re really looking forward to growing our relationship with them in the years to come,” said Alex Shannon, special projects coordinator at Akron Children’s. Nationally, Subaru of America Inc. has donated nearly $90 million to charitable organizations through this initiative since 2008.